Are Credit Problems Holding You Back? We all know how hard it is to get approved for credit today. If you're one of the many people who have credit problems, it can be even more difficult, or impossible , to get credit for the things you really want and need. If you've recently been denied for credit or if you're paying outrageously high interests rates for your home loan, car loan, or credit card, your credit report is most likely to blame. You could give up, or put everything on hold while you wait for your credit to fix itself, but there IS a better way. Are you a victim of identity Theft or in need of establishing Credit? We are able to help you. Increase Your Buying power by restoring your credit. 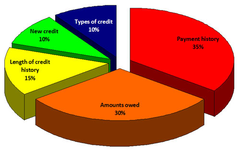 GL Credit Repair will demand that the credit reporting agencies prove the claims that appear on your credit report. GL Credit Repair has removed unverified and incorrect information from our clients' credit reports. GL Credit Repair has an outstanding removal success rate. GL Credit Repair is your solution for credit problems and we are here to help you take the first step. Bad Credit will cost you thousands of additional dollars over the years. 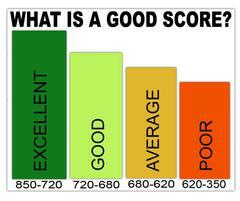 Negative information can remain on your credit report for up to 10 years and it can prevent you from getting credit. Any negative information that cannot be verified must be removed from your credit report. According to Consumer Reports, 48% of all credit reports do contain errors. Remember: credit reporting agencies are in business to protect their interest. We are in business to help and protect you.